Excited about using your new charcoal grill? I get why. It’s sparkling clean, no rust, accumulated food particles and it’s definitely going to be operating at its optimum. 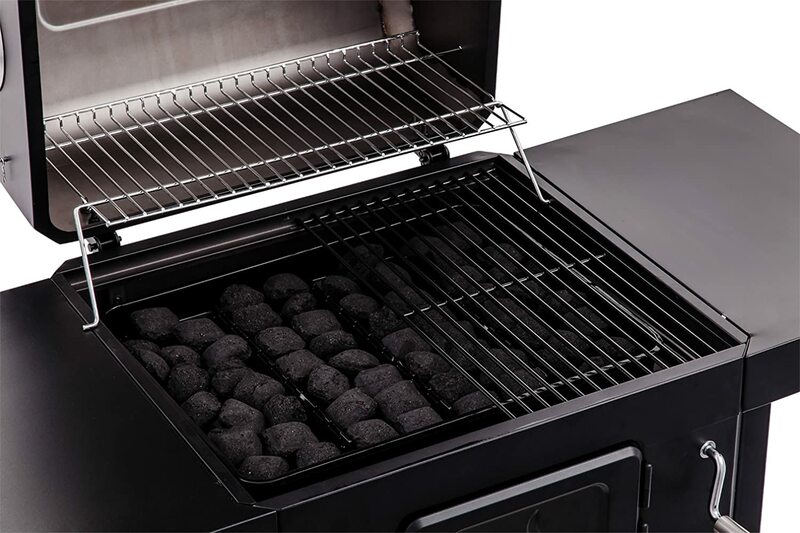 Charcoal grills are not as convenient as the other grill types when it comes to lighting and cleaning but they do come with one advantage that makes them extra special, the smoky flavor. Food grilled with a charcoal grill is infused with a rich smoky flavor that makes it more tasteful than food grilled with a gas or electric grill. This is why charcoal grills are so popular and why more and more people are choosing this method of grilling. But before you get too excited about trying out your newly purchased charcoal grill, you need to make sure that you season it first. Curing or seasoning a charcoal grill is necessary especially for a new one because it benefits your grill in a number of ways. Cleaning a grill that is all rusted may not be easy and is time consuming. By seasoning your charcoal grill you, minimize the likelihood of rusting which then makes cleaning easier and faster. Seasoning provides a second layer of protection to the grill thereby drastically minimizing the chances of rusting. Of course, this means that the life span of your grill is enhanced. Cleaning your charcoal grill with plain water and dish washing soap may not remove all the impurities and chemicals involved in the manufacturing process. These factory chemicals may give your food unpleasant tastes not to mention it can’t be good for your health. The process of seasoning can eliminate these concerns. Seasoning may sound like a tiring and time consuming job yet in reality the job is not as hard. “Seasoning” is basically a simple process of oiling and heating the grill. Well then, read on and learn how to go about it. First thing is to clean your grill’s interior surfaces especially the grates with some hot water and soap. Smear the grates and all the interior surfaces with a layer of vegetable oil. Remove the coal starter, close your grill lid and let the grill heat. You should notice your grill smoking as the oil is heated. Do this until you see the oil that you smeared on the surfaces is not smoking anymore and instead, it has formed some sought of coating on the surfaces. Keep in mind it may take up t0 an hour, even more for the coating to form. Once the grill is cool, the final step is getting rid of the ash and that’s it, you’re ready to grill! The steps of seasoning a charcoal grill are just so easy to follow, thus there is no reason why would you would not do it because as we said earlier, it helps in the longevity of your charcoal grill.